Firefighters and paramedics work every day to save lives. At CAPE, we do all we can to ensure their vehicles are better equipped to save theirs. A fire truck takes a corner on a slick road and rolls. An ambulance racing to the scene is struck by another car. Unfortunately, accidents happen to the very people who rush to save us when we’re in one. 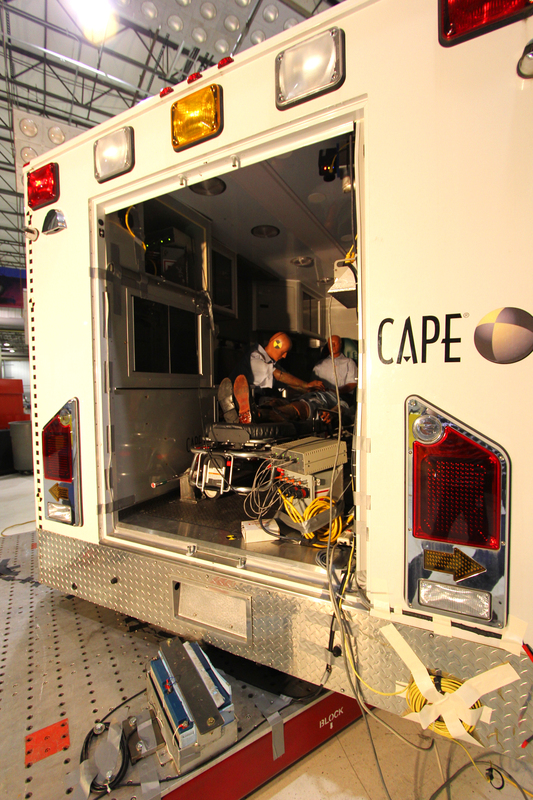 At CAPE, we work to make our first responders’ vehicles safer, and we’re proud that we have the equipment and the expertise to put vehicles of their size to the test. Whether you’re testing the crashworthiness of a vehicle or studying occupant protection in a rollover, CAPE has it covered. 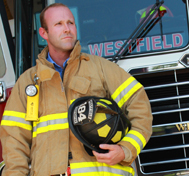 We’re experts when it comes to crash testing large commercial trucks and fire apparatus. Our findings have led to significant advancements in safety for the industry and the men and women who utilize those vehicles to save lives. Trailer under-ride, oblique and offset tests, and vehicle to vehicle crashes are just some of the tests we perform with our barrier block. 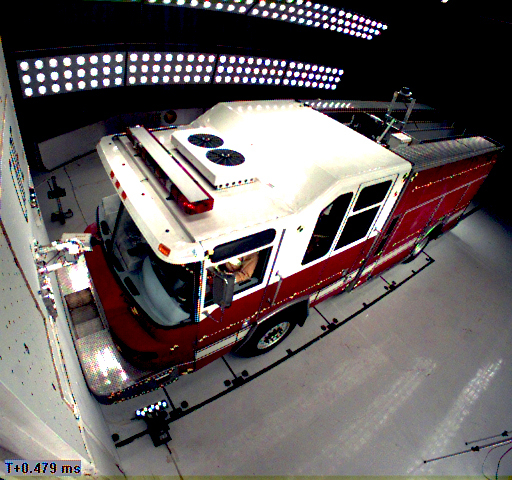 Several fire apparatus cabs have been put through our one-of-a-kind 90-degree rollover impact machine to better understand how injuries occur to firefighters in a rollover. In fact, our findings led to IMMI’s development of RollTek, the first side-roll protection system for fire trucks. 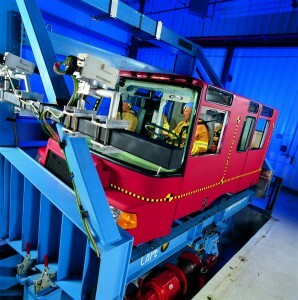 CAPE’s unique rollover machine has been validated through the rolling of a full vehicle, which offers real world crash sensor data. Our machine captures occupant restraint and product performance in a rollover, and is built to accommodate large vehicle cabs. It can also be adjusted to various roll conditions. CAPE has also conducted sled tests with an entire ambulance on-board to study paramedic and patient safety. Our sled tests can act as an intermediate step to testing full vehicles. 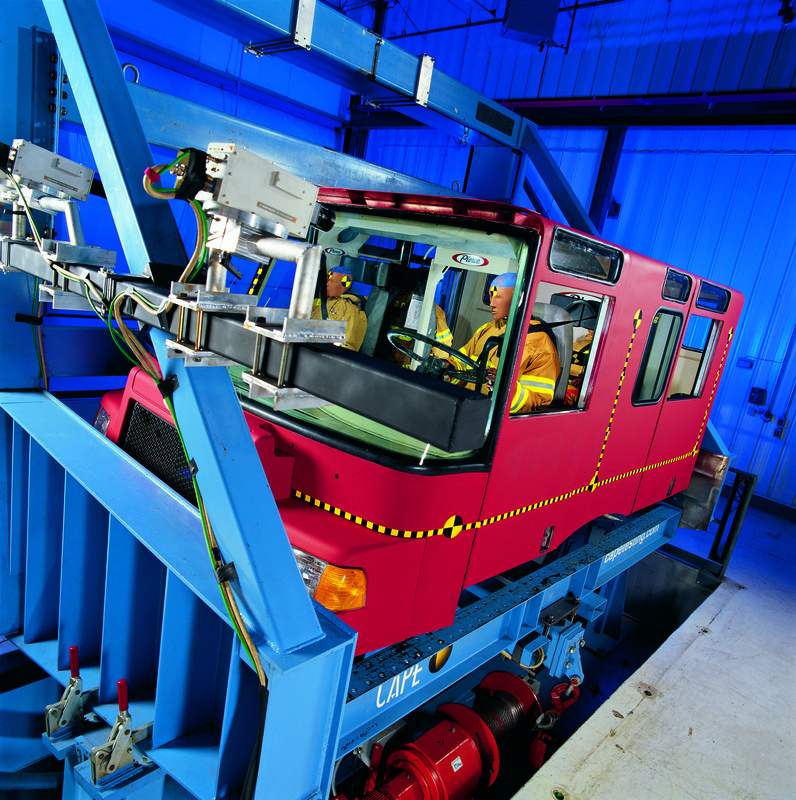 With both forward and reverse-firing sleds to choose from (Servo Sled, Bending Bar Sled, and Hydraulic), clients can test the cab without crashing the whole vehicle. Sled testing can be a very efficient, repeatable, and less resource intensive tool in performing the evaluations you need. Meet Bob Bowen, volunteer firefighter and CAPE test technician.